Although covered elsewhere in this site, it seems useful to include a list of the villages that are extra special in the region, and have received the prestigious 'most beautiful villages in France' rating. 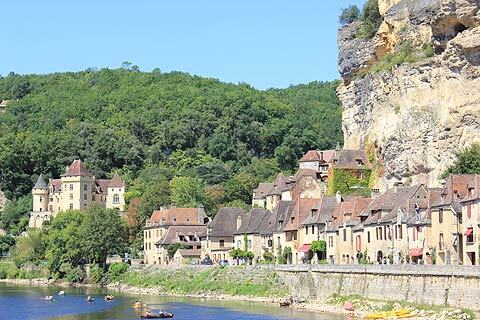 These villages have received the classification because of their exceptional setting and attractiveness, and all of them are particularly worth visiting during a trip to the Dordogne region. The Dordogne area is lucky to have such a large number of "most beautiful villages" and it is easy to visit several on the same day. Aubeterre sur Dronne is just over the Dordogne border in the Charente department. Carennac and Loubressac are in the Lot department close to the border with the Dordogne. Curemonte is in the Correze department. Just to the South of the Dordogne in the Lot et Garonne, Monflanquin and Pujols are both worth a visit. Saint-Robert and Segur-le-Chateau in the Correze are close to the eastern edge of the Dordogne. There is no finer way to see the traditional France heritage and a world unchanged during hundreds of years than to explore it through the national network of most beautiful villages - there just over 140 of them, across all regions of France (including Corsica). 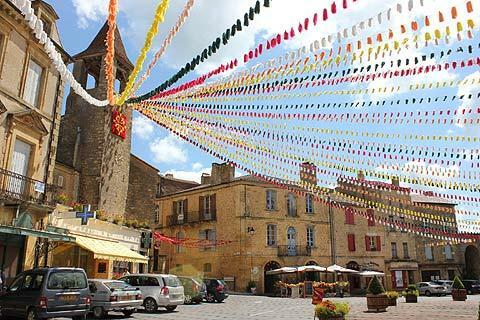 If you want to explore the villages that fall outside the Dordogne area please visit France most beautiful villages. Our personal recommendation is that you don't miss Conques near Rodez, or St Cirq Lapopie near Cahors. Special mention goes to the small but perfectly formed Larressingle in the Gers. All three of these can be visited from the Dordogne region on a day trip, depending where you are staying.